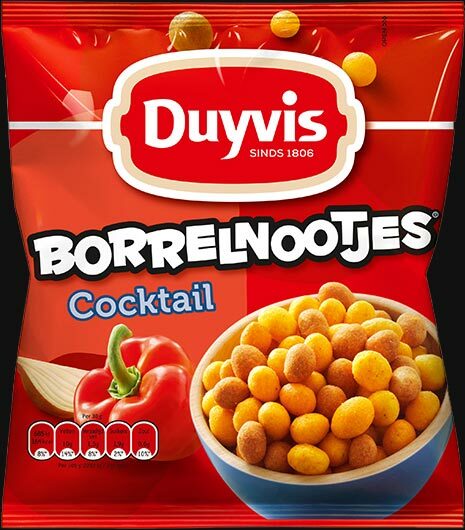 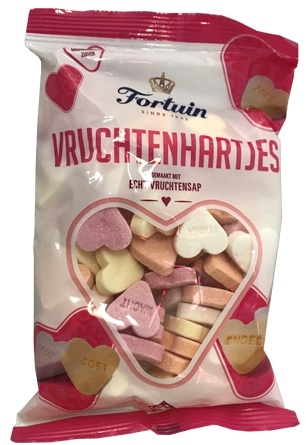 Duyvis Borrelnootjes Oriental (cocktail nuts oriental), 300 grams / 10.5oz. 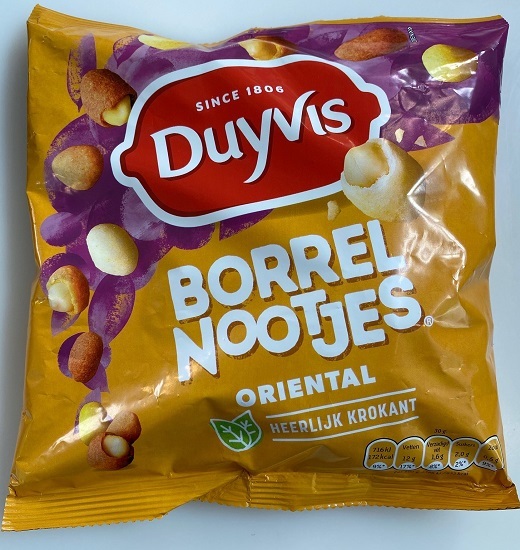 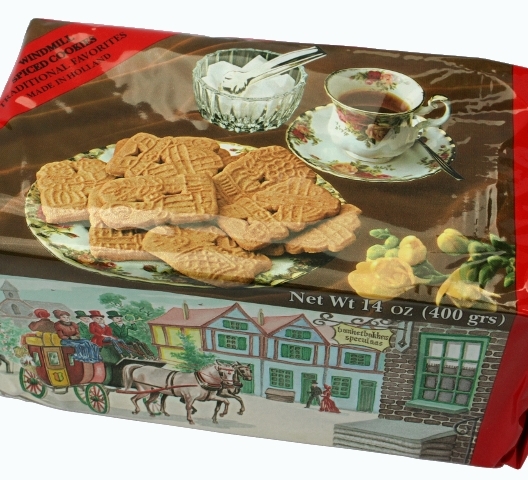 Coated peanuts in a crispy jacket with savory taste, oriental flavor. 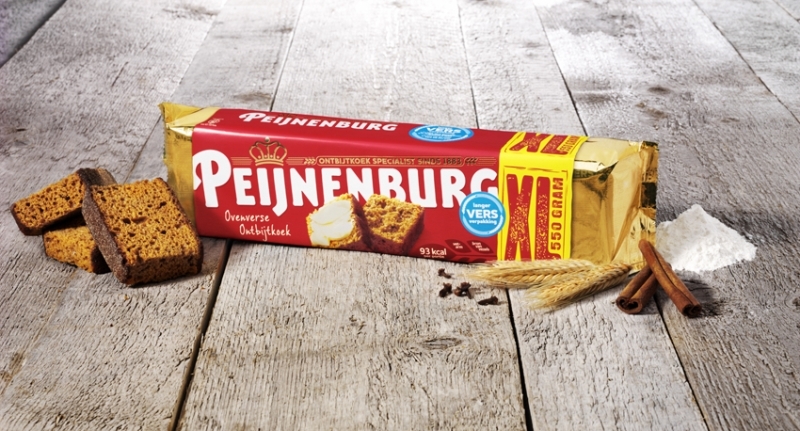 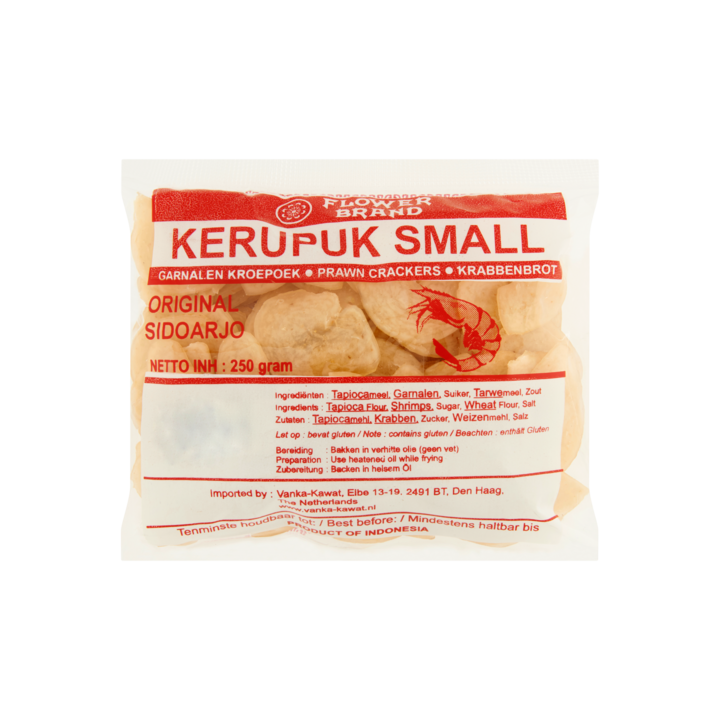 Ingredients: peanuts, starch, vegetable oil, sugar, spices (curry powder, onion powder, chili powder, garlic powder, cumin, coriander), potassium chloride, yeast extract, citric acid, aroma (contains barley, soy, wheat, celery), salt, modified starch, coloring (betanin, curcumin, pepper extract).